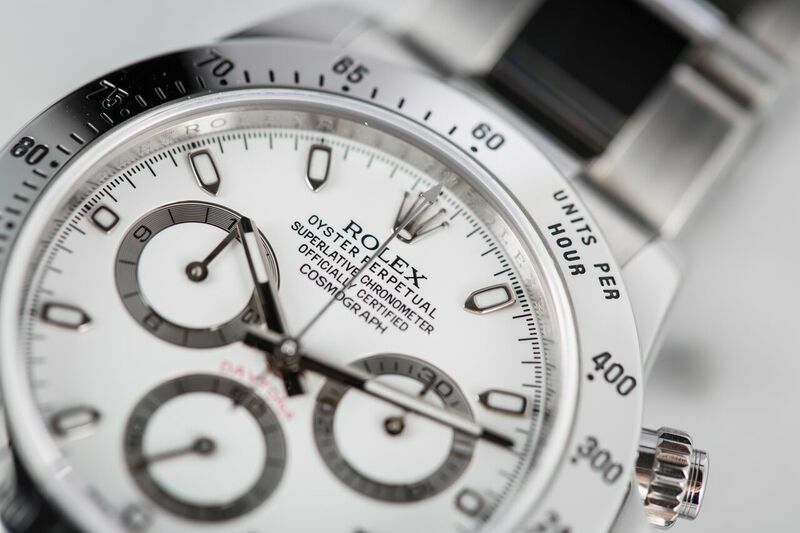 The Rolex Daytona 116520 was introduced in 2000 at the BaselWorld Fair. This watch represented the first completely new in-house movement that Rolex had designed in more than 50 years: the fully-integrated self-winding chronograph function called the Caliber 4130. Rolex Daytona ref. 116520 is a beautiful watch with a white dial and white subdials. This Caliber was the result of years of development and was designed to improve accuracy and reliability of the Daytona. Experts were enthusiastic, even though most of the changes that occurred took place inside the watch rather than outside and those who did not use the watch for its intended chronograph purpose might not even notice the difference. 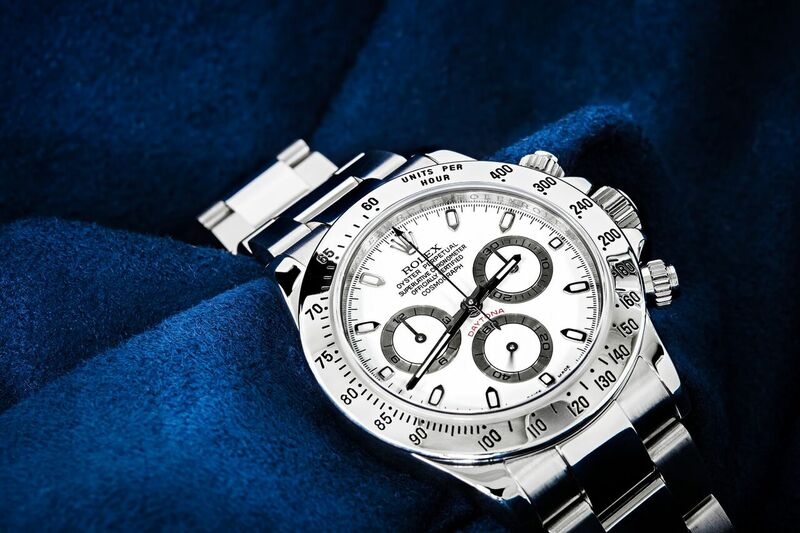 One of the biggest interior changes to the Rolex Daytona 116520 was the use of a vertical clutch mechanism that couples its movements to the indicators of the watch when activated and is often preferred to the lateral clutch movements used in most watches. The 4130’s new clutch design offered something highly valued in watches used as chronographs: precise stops and starts of the seconds hand. This makes the Daytona the perfect “stopwatch” for timing delicate processes, including racing. The smart design and features were also upgraded on this Daytona model. The greatly simplified counter, for example, integrated what was formerly two separate mechanisms into one unit that occupies less space. This freed precious space inside the watch so that Rolex could increase the mainspring barrel size, allowing the watch to run longer, as well as the size of the balance wheel to improve accuracy in timekeeping. In fact, the entire watch was simplified, with 12 screws versus more than 40 in earlier models and 20 percent fewer parts than previous watches. The exterior of the Daytona 116520 is very similar to that of the 16520. However, there were some subtle but important changes made, including moving the seconds indicator from 9 o’clock to 6 o’clock and aligning the hour register with the 30-minute register. Wider and luminous hour markers, slightly longer lugs and polishing on the top side of the case instead of the brushed finish are all features familiar to Daytona users that will strike a resonating chord with this watch. While the Daytona 116520 has made some changes from its earlier incarnations, it is hard to deny that this watch continues most of the favorite traditions of Daytona, including the great chronographic functions and the beautiful appearance that have made this watch a favorite for years.